What could a young Rwandan who wanted to be an architect do to fulfill his dream in a country without a single architecture program? Apply to a university in China and teach himself Chinese, of course. Christian Benimana got his start with MASS Design, a Boston and Kigali-based design firm that is helping to re-shape Rwanda’s entire infrastructure, as a 2011-2012 Global Health Corps fellow. 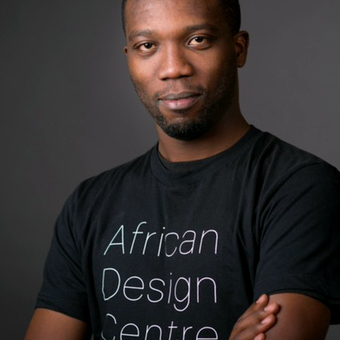 He now serves as the organization’s Director of Rwanda Programs and Director of the African Design Centre. Christian has been involved with design/build and consultancy projects across many countries in Africa, with development initiatives, operational and administration leadership, and with teaching at the architecture school department of the former Kigali Institute of Science and Technology (KIST). He is currently the chairman of the Education Board of the East African Institute of Architects. While obtaining his Bachelor of Science in Architecture from the College of Architecture and Urban Planning (CAUP) of Tongji University in Shanghai, China (2008), Christian worked with LongiLat Architecture Research in Shanghai. He was also a 2014 Aspen Ideas Festival: Spotlight Health fellow.